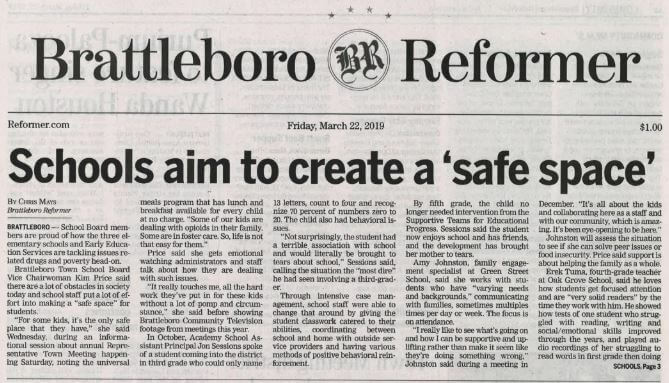 The link below will direct you to a publication that appeared in the Brattleboro Reformer on Friday, March 22, 2019. This article is about how schools are overcoming certain obstacles present in society today and creating a safe space for their students. Early Education Services is proud to be among these schools fostering a safe environment that our children can thrive in.